Do you teach your kids about how to manage money ? Better yet, do you teach your kids about money at all?I’m not talking about just teaching general principles such as “save money” or “don’t spend it all”. I mean are you really teaching them about how to manage money wisely? When they grow up will they have a rock solid concept of how to manage money well so they don’t end up busted like so many people have over the last few years? 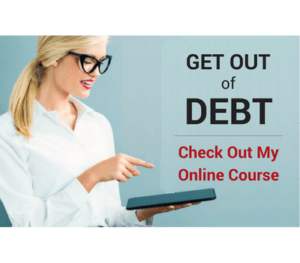 Learning to manage money has gotten much more complicated over the last 40-50 years because more people are juggling multiple debts such as credit cards, car loans, personal loans, home equity loans, etc. But when it comes down to it, the basics still apply, and if you teach kids to manage their money like their great grandparents did, things will be much simpler and they will be much more likely to prosper financially when they get to adulthood. Teach them that money doesn’t just appear from mom and dad. They should learn that money is the result of work and expectations that have been met. When kids know money is not just a given, then you’re teaching them how the real world works. When they get out on their own they will know how to work hard and meet expectations without feeling entitled. When you borrow money you lose, period. Borrowing always costs more than using cash. When you teach kids that credit cards, car payments, and consumer debt are things they shouldn’t start using when they get to be adults, you set them up for ling term success. I never lend money to my kids. They have finally stopped asking. Kids should get in the habit of saving part of every dollar that passes through their hands. I recommend a minimum of 15%. This gets them in the habit of not spending everything they get, which is a habit many of us adults should learn to develop as well. Giving is great because it helps to eliminate selfishness. When a child is able to give out of something she has earned, it empowers her and helps her to develop a healthy perspective that helps her realize “it’s not all about me”. Your child will be using the resources they have to develop their own spirit and to make the world a better place. I recommend tithing on every dollar earned as a minimum level of giving, along with other contributions in addition to that. As kids get a little older (maybe 9-10 years old), teach them to have a plan for their money. When they get money, have them write down a very simple plan that includes how much they will save, give, and a list of what they will spend their money on. 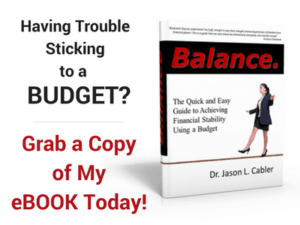 Doing a budget, no matter how small and simple it is, teaches them to plan their spending in advance instead of letting the money slip through their little fingers, wondering where it all went. Most parents could stand to do this one too. All that we have comes from God our creator, including our money. When you teach your kids that managing the money that God provides to them in the right way, you ensure that God is going to bring blessings to that child for doing the right thing with what they’ve been given. God will always find ways to bless you for doing the right thing. 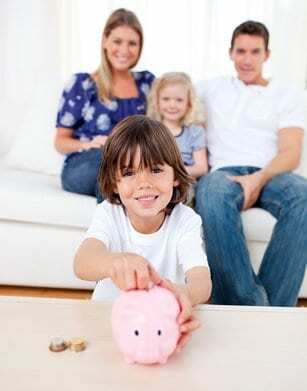 Teaching your kids to manage money wisely will always pay off in a huge way when they get into their adult years. Learning good habits early in life always has a lasting effect. But remember, if you’re not using these guidelines to manage your own money, it’s probably going to be difficult to teach your kids to manage their money using these principles. The best way to lead is always to lead by example. Whether you like it or not, your kids are always watching to see if what you say matches up with what you do. So be a great leader, teach your kids well, and they will succeed with money and in life! Very nice information that is missed by a lot of parents. 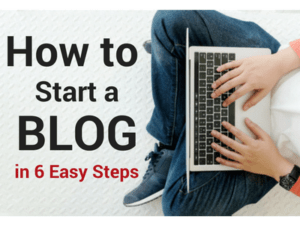 Thanks-you have posted so many great articles it is nice to touch on some tips you haven’t seen before! I am one of three children. My parents taught us to save, spend wisely, invest in quality and things like that. But all three of us heard the message differently. I took most of it as gospel truth and over time discovered some of their truths were flawed. My brother heard “never spend, save everything you get.” He lashed out and hated those confines so he became a spender and still is even to his financial detriment. He felt and constantly feels deprived. My sister heard “We can’t afford that.” So she lives without because she hasn’t realized the abundance in her life. Instead of focusing using her money on what makes her happy, she buys into not being able to afford anything. She is deprived because she believes she can’t afford it. My point is that parent’s words are powerful and strong. I think it’s healthy to ask what the children THINK you are saying–because it may not be at all the message you want them to receive. Good points. It’s easy to take any message to the extreme and thereby totally distort the true meaning. I think one you’re right about asking what the children think. Instead of just telling them what to do, it’s important to have discussions about money and how to use it properly, then model the behavior you want them to display. That way, I think they are more likely to “get it”.